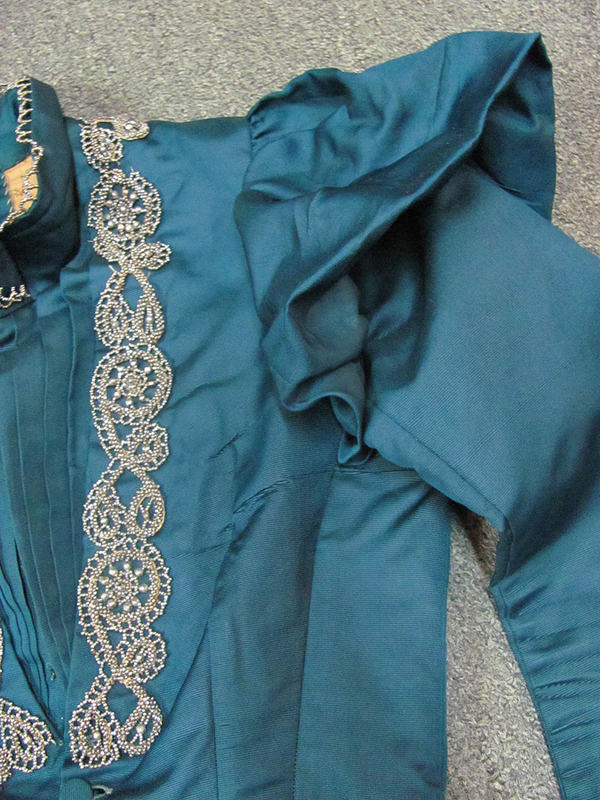 DESCRIPTION: Amazing jacket in teal color silk. 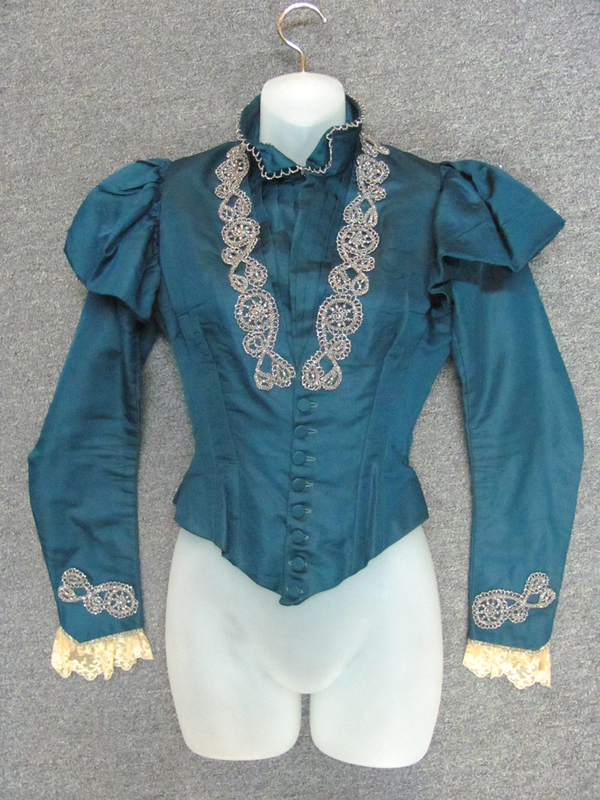 This Victorian jacket is near mint. When I first saw it, I thought it was a reproduction because the color and condition were so fantastic! I was later told that the owner of the jacket bought it at an estate sale in the 1960s. 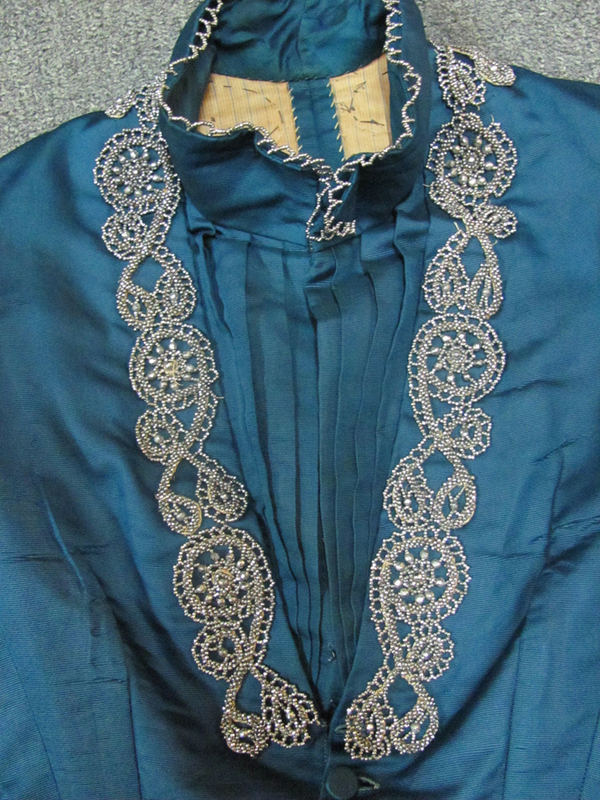 I had a local collector/costume designer take a look at it because I'm not an expert of this time period. I took lots of photos so you can see how it's made. 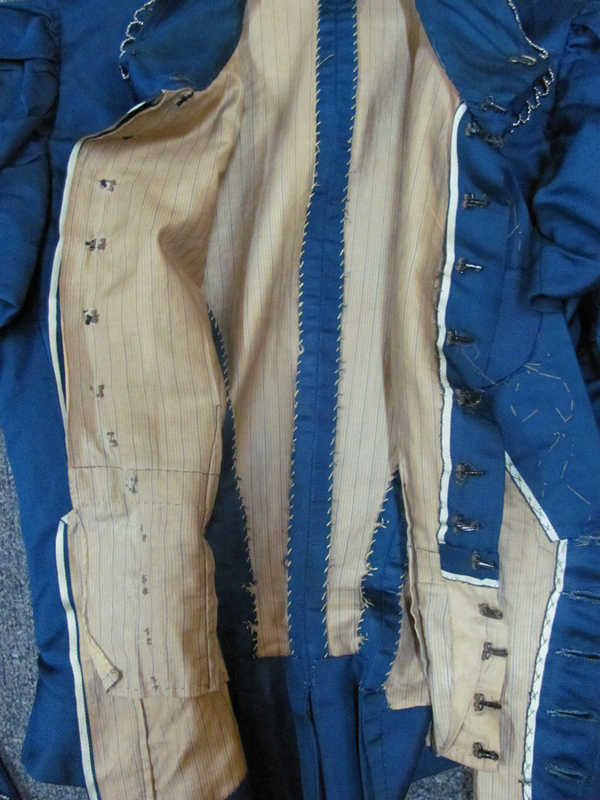 Hand stitching, boning possibly whale. Silk everything. She used more terms but I didn't write them down. 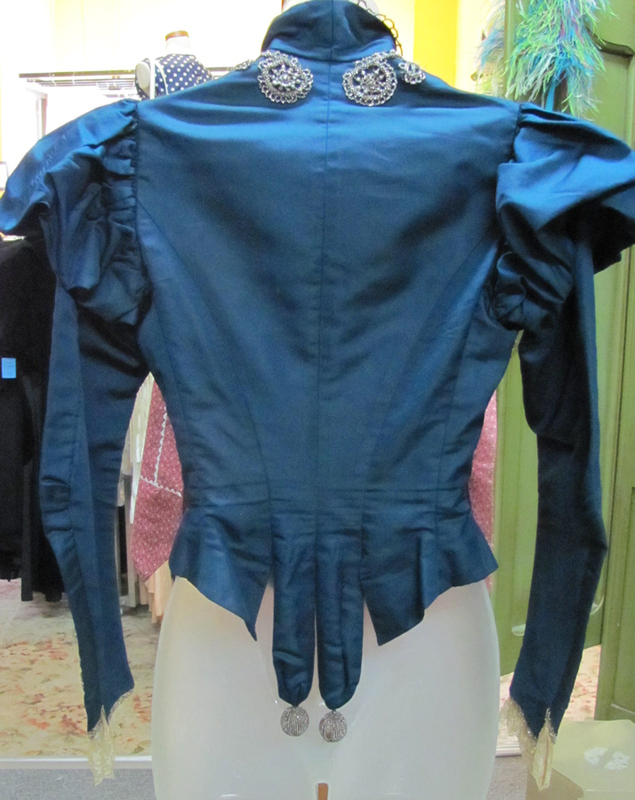 You can see a standing collar, vertical pleated neckline, a "collar" of steel cut beads, front and back and on sleeves. Double layer closures at the waist. 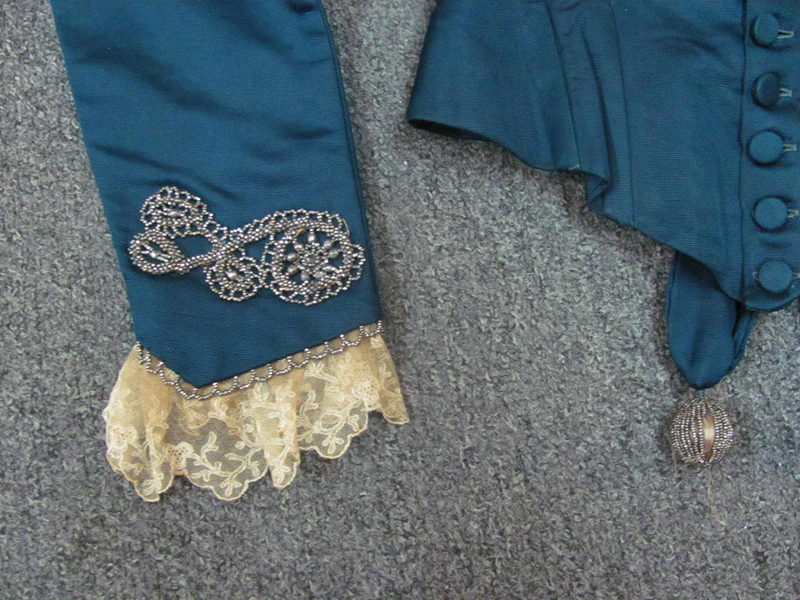 Lace accents on the sleeves as well as loop beadwork. On the back are tails with beaded ball dangles. Take a look at all the pictures and let them do the talking! Email with any questions, please! Sleeve Length, seam to lace cuff: 25"
Shoulder seam to shoulder seam across the back: 12.5"
CONDITION: Excellent for its age, but not perfect. • One tear along inside waist fabric (the ivory fabric near the hooks and eyes). See last pic. • One fabric loop needs replacing at the neckline. • One button is missing, but its respective buttonhole is hidden under the beadwork. • Some beads missing on the dangle balls in back. • Parts of the applique beadwork was coming off, so I hand-sewed it back on. • One seam binding is undone. See second- and third-last pictures. Such a pretty color! 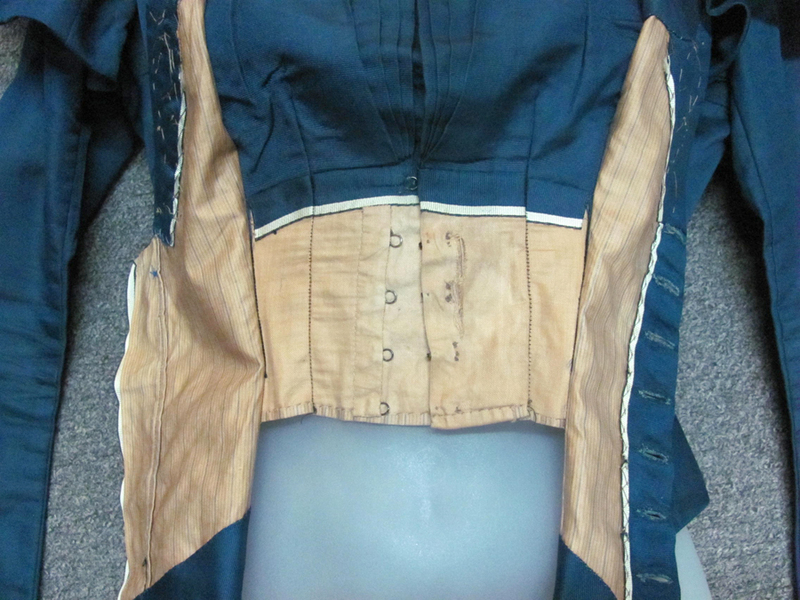 I also love that the seller took photos of how the actual bodice went together. Yay!